Please don´t hesitate to contact us if you should have any special requests or wishes. ​Steinunn Guðbjörnsdóttir has over 25 years of experience as a local travel agent. 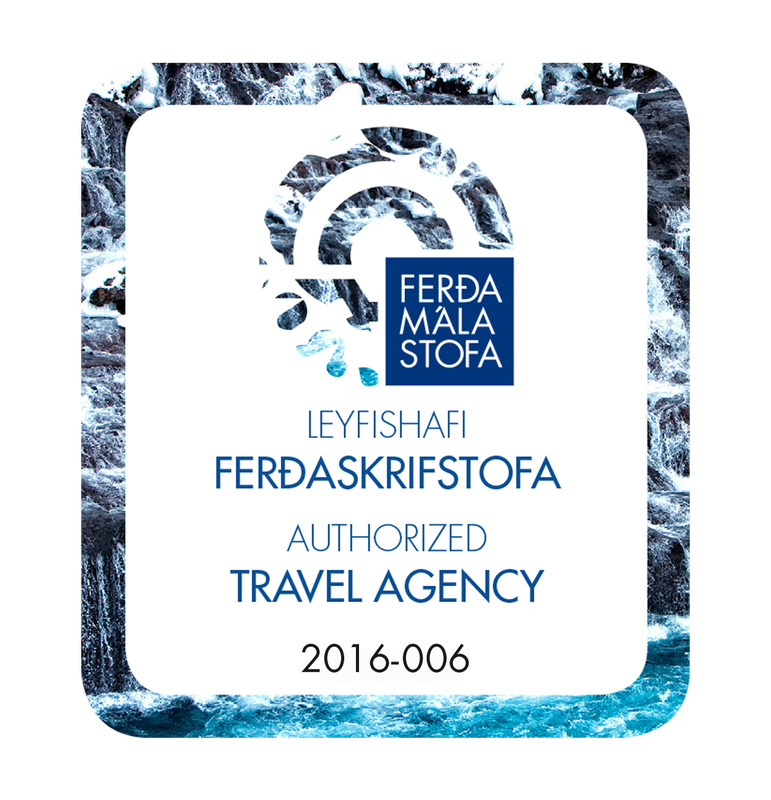 Having worked for some renown Icelandic Tour Operators she has gained vast experience in all aspects of Icelandic Tourism. She loves to travel in Iceland and has spent all her vacations in her favorite country Iceland, either on a family camping tour in the highlands or on a horse riding tour. She is a keen photographer and cannot imagine life without dogs and horses. Steinunn´s motto: Thank goodness for dogs, horses and good friends! Meike Witt has over 20 years experience in Icelandic Tourism. She is a Travel consultant, certified Tour Guide and a member of ICE-SAR, the Icelandic Search and Rescue Association. She is a certified Wilderness First Responder. Meike has been travelling the Icelandic highland for twenty years on foot and horseback. She lives with her family and lots of animals on a farm in the countryside in South Iceland. ​Meike´s motto: Let your smile change the world but don´t let the world change your smile. Þuriður Hilmarsdóttir (called Þurý), has been working in tourism for over 20 years. At Exploring Iceland she is our operation manager, overseeing the operational support of our tours. Just like the rest of the team she is a keen horsewoman. Þurý has been breeding both dogs and horses very successfully. Þurý lives with her familiy near Selfoss in South Iceland on a small steading with lots of animals! ​Þurý´s motto: Always do your best. What you plant now, you will harvest later. Our bus company has been in operation since 1979. It was founded by Erlendur Björnsson who passed away in 2014 but his son Björn Erlendsson proudly keeps up his spirit. The buses are from 18 seater up to 57 seater and are all Mercedes. Our ambition is to have new models, excellent drivers and cleanliness in all aspect! Einar Bjarnason is a fully qualified member of ICE-SAR, the Icelandic Search and Rescue Association. He is also a qualified Wilderness First Responder. Einar will be advising us on all tours regarding hiking, climbing and other mountaineering activities. He is also a keen photographer and you will be able to enjoy his pictures on our website. Einar will be writing articles about Mountaineering on our Exploring Iceland Facebook page in regular intervals – stay informed and above all STAY SAFE! ​Louise F. Martin, is a young veterinarian and horse lover. She came first to Iceland in 2007 and went on a riding tour across the Icelandic highland. Since then there has been no turning back. By now she has her own Icelandic Horses. In her studies she has specialized in horses and other large farm animals. We are very pleased to have contracted her as our personal Exploring Iceland Horse Welfare Advisor. She will be keeping a watchful eye on all our tours making sure that the horses enjoy their work as well. Louise will publish articles on our Exploring Iceland Facebook page in regular intervals about Horse Welfare – we look very much forward to her articles! Andy Green, is a veteran of over 58 Aurora tours in Iceland. He has been actively involved in astronomy and space for over 40 years becoming interested in astronomy & space aged 7. He has since traveled the world to promote astronomy give presentations and lectures, visiting and taking groups to observatories as far afield as Hawaii, mainland USA, Australia and Chile. He has visited several space agencies and their facilities including those at NASA and ESA. Andy will publish articles on our Exploring Iceland Facebook page in regular intervals about the Northern Lights – we look very much forward to his articles and stunning photos! Karen Woodrow Barrysdóttir and Line Nørgaard will be our special horse training advisors on Exploring Iceland. Karen and Line are both fully qualified riding instructors – graduates of Hólar University / School of the Icelandic Horse. They have both been board members of the Icelandic Horse Trainers Association and together they have developed the educational equine program at the College of Mosfellbæ where they are both teaching. Besides Karen and Line run their own company where they offer riding lessons on well educated horses amongst other horse related services. We look very much forward to their articles! Tina Flecken came first to Iceland in 1987 as an exchange student. She studied Nordic Languages in Cologne and Reykjavík and is well known for translating Icelandic Literature into German. She has translated crime novels by famous Icelandic crime fiction writer Yrsa Sigurðardóttir, novels and poetry by Andri Snær Magnason, Sjón and many others . We very much welcome Tina to our Team and she will be keeping you updated on all the exciting new books in Iceland! Grab a cup of coffee, have a look at our Facebook page and enjoy!